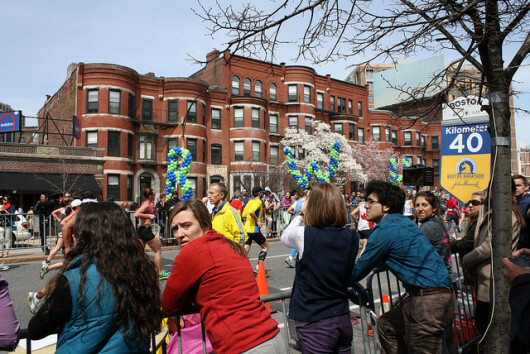 By Polly Kreisman | April 16, 2013 View as "Clean Read"
A Rye real estate agent and a Journal News photographer were among local residents who witnessed the deadly explosions at the Boston Marathon Monday. 3 people are dead and about 140 are injured, some severely. Westchester County Executive Robert P. Astorino annnounced, “I have ordered Westchester County Police to immediately take a number of precautionary actions including the deployment of the Aviation Unit helicopter to conduct aerial surveillance of critical infrastructure around the county and the Marine Unit to do the same along the Hudson River. County bomb dogs are conducting sweeps of county buildings including the County Courthouse,”he added. “Police presence has been stepped up at areas such as the Kensico Dam and other vital locations. We have also increased security at Westchester County Airport. The blasts also prompted the NYPD to increase security in New York city, while President Barack Obama vowed to provide whatever assistance is necessary to investigate the incident.